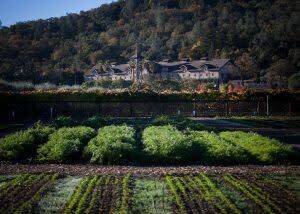 Wine country living isn’t a modern concept. The first white settlers came to the Napa Valley in about 1830 and within a few years George C. Yount had planted the first vineyard here. 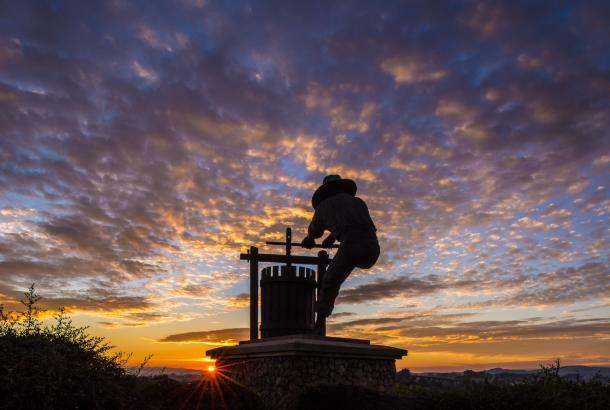 It wasn’t long before pioneers, prospectors, and entrepreneurs of several nationalities had established roots (and rootstock) from Napa to Calistoga. Many of the original buildings and businesses that originated in the nineteenth and early twentieth centuries live on today – one of the main reasons the valley retains its authentic charm. If you’d like to get a taste of how the Napa Valley looked, felt, and tasted back then, here are a few good places to start. Sam Brannan Cottage. 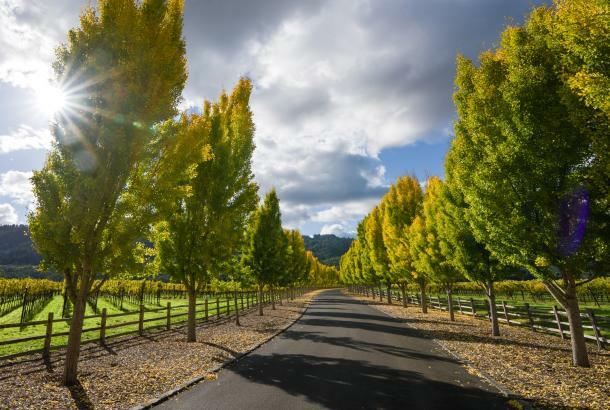 One of the first things you learn when you visit Calistoga is how it was founded by Sam Brannan in 1862 as a hot springs resort modeled on Saratoga Springs in New York. At its height, the resort included 14 tidy white cottages surrounded by 2,000 acres. Today, only three of these cottages still survive, and you can visit one of them at the Sharpsteen Museum, which is filled with other intriguing exhibits from the town’s early heyday. Greystone Cellars. 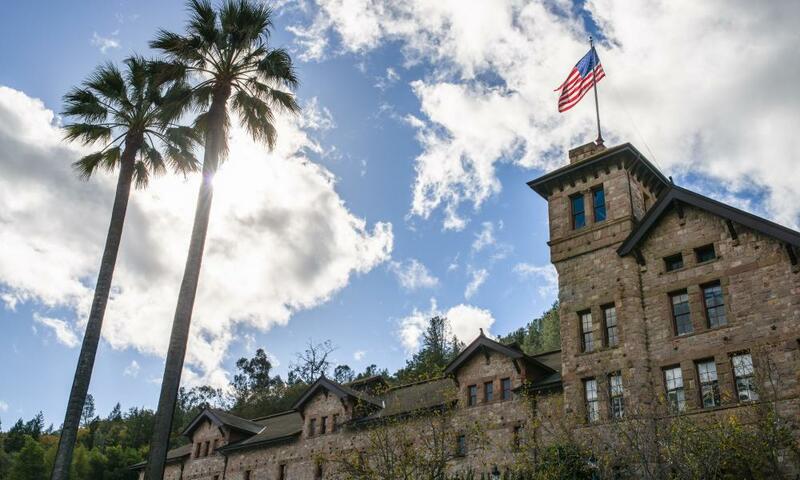 Today it’s a campus of the prestigious Culinary Institute of America (CIA), but back in 1899 William Bowers Bourn II built it to house the valley’s first wine cooperative. It was later owned and operated by the Christian Brothers, who made both sacramental and commercial wines as well as brandy, before being sold to Heublein, Inc. and later to the CIA. Today you can still see Brother Timothy’s extensive corkscrew collection of more than 1,000 corkscrews collected over 50 years. More well-aged wineries. 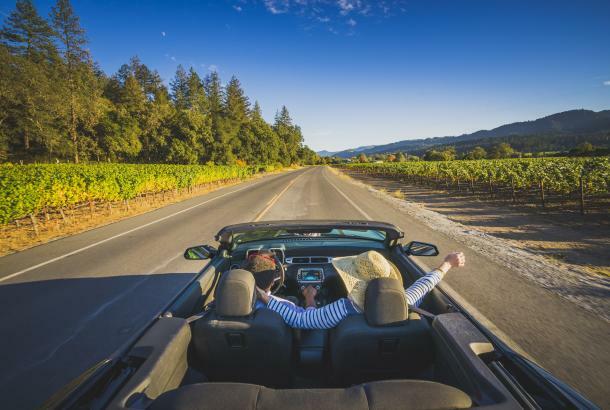 There are too many to list here, but some of the best known are Charles Krug Winery, Beringer Vineyards (Napa’s longest continuously operating winery), Larkmead Vineyards, and Chateau Montelena Winery. Hotels with a history. 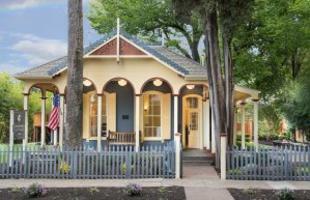 At the Brannan Cottage Inn, you can stay in another one of Sam Brannan’s original resort cottages, which has been outfitted with modern comforts while retaining its historic charm. Robert Louis Stevenson, author of The Silverado Squatters, stayed in one of the originals and wrote about the pleasure “by which you have a little country cottage of your own, without domestic burdens, and by the day or week.” Or stay at the Mount View Hotel – its many historical incarnations are too many to describe here, but it was already operating as the European Hotel in 1912 when it was bought by one-time Calistoga mayor Johnny Ghisolfo, who charged guests $1 a day for a room and three meals. A dirty Calistoga tradition. 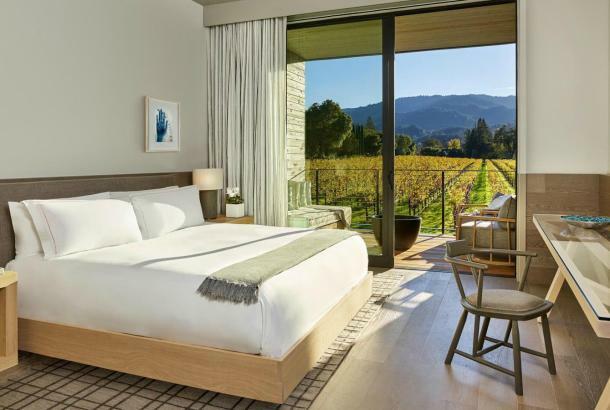 Today, Calistoga is filled with spas offering mud baths and other health treatments – a practice that dates from when the Wappo Indians first enjoyed the area’s natural thermal waters. But the man who made it “a thing” was John ”Doc” Wilkinson, who combined pure volcanic ash with mineralized hot springs water and Canadian peat to maximize the mud treatment in 1952. 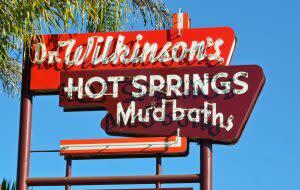 Dr. Wilkinson’s Hot Springs Resort still retains that authentic mid-century vibe, as well as a range of massages and other treatments to completely revitalize you. The taste of old Italian Napa. 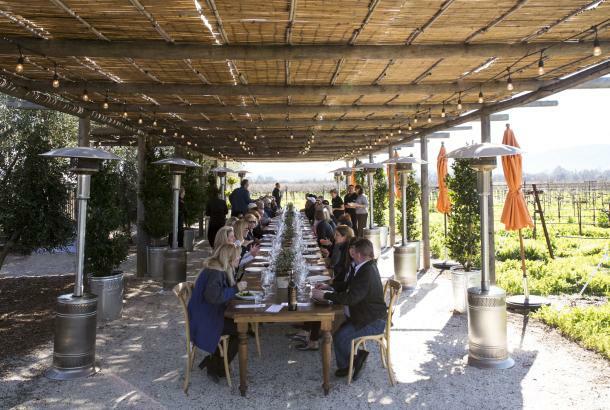 It’s no surprise that the Napa Valley has attracted its share of Italians and their descendants – from its rolling hills and Mediterranean climate to its love of food and wine, it’s California’s answer to Tuscany. 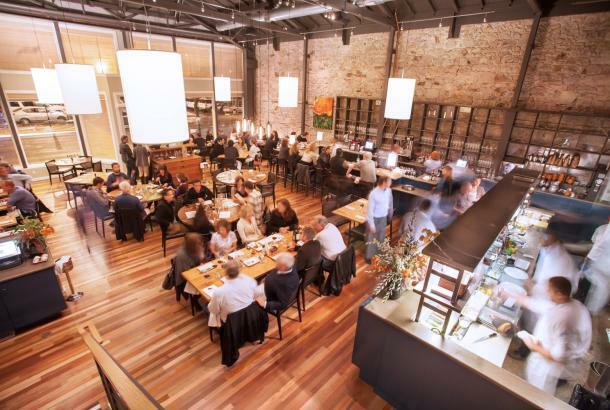 In the city of Napa, several take-out joints for home-style Italian food thrived for decades, and two of them are still doing business today (both of them as side businesses to liquor stores). Check out Lawler’s Liquors and Clemente’s Authentic Take-Out at Val’s Liquors for some outrageous malfatti, ravioli, and other pasta dishes. History on foot. Want to see more? 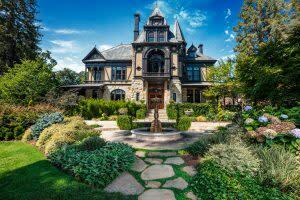 Both the Napa Historical Society and the St. Helena Historical Society offer self-guided walking tours. For a walking tour map from the latter, visit the St. Helena Public Library, Chamber of Commerce, or Main Street Books.